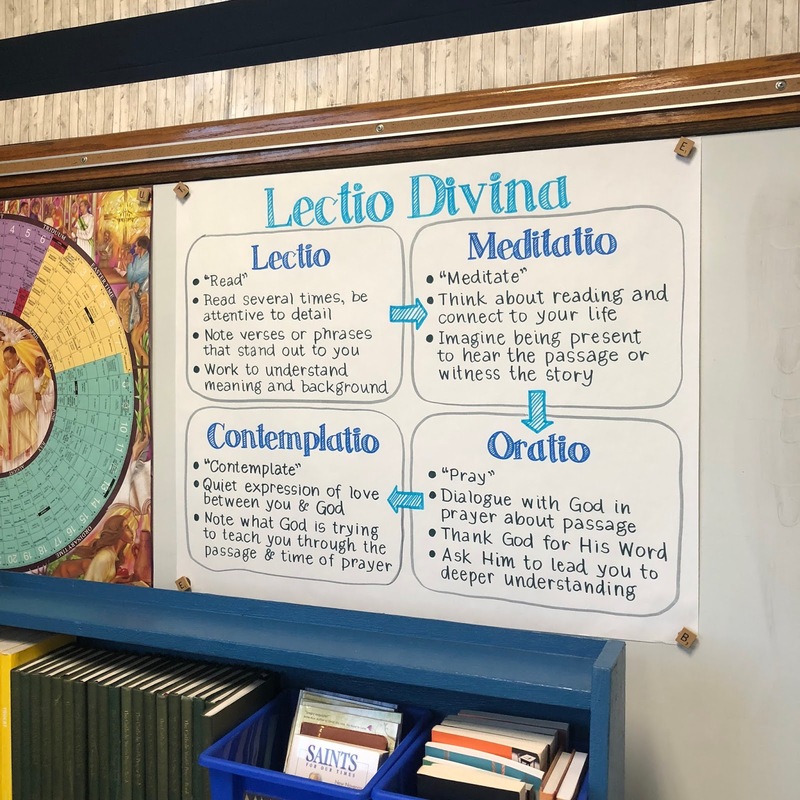 I've written before about using the Lectio Divina method of praying with Scripture, and it remains my favorite way to read the Bible both with adults and with my students. In my new job teaching jr. high religion, we have a Lectio Divina task once a week and I've noticed that especially the 6th graders, who are new to this method, need a little support. 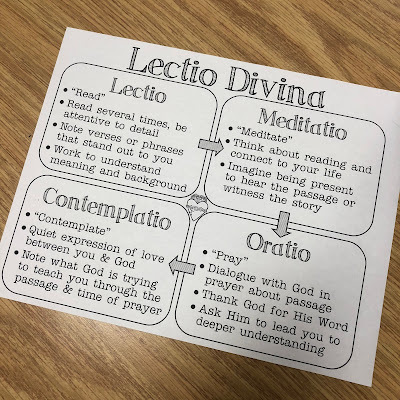 Rather than continue to repeat the answers to the same questions, I decided to make graphic organizer they can put in their prayer journals. You can get your own copy at the end of the post. And to make an easy reference tool, I also made it into a poster version to hang in the classroom. If you follow me on Instagram, you might have seen how I made this- I projected the graphic organizer onto my smart board, and with the touch sensitivity turned off, traced it onto a piece of chart paper. I don't usually go to that much work when I am making an anchor chart, but since this is one I anticipate leaving up for a long time, it is nice to have it neat and easy to read. I also think that it is a strength that the chart matches the student version, helping them recognize and retain the information. If you'd like to use this graphic organizer but have different prompts or questions for your students, I also made a blank version you could have them fill in themselves. 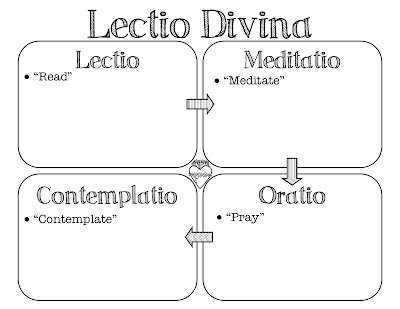 Or you also could use it as a guideline for Lectio Divina notes on a particular Scripture passage. 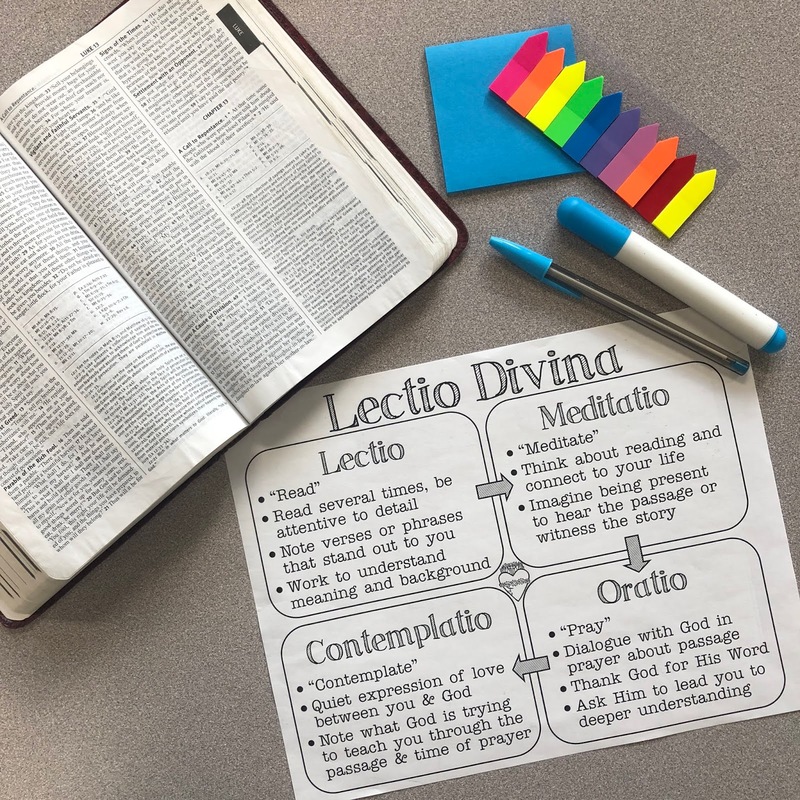 How ever you use it, Lectio Divina a beautiful way to help your students, small group, or yourself to engage with the Bible! Check out this post for printable Lectio Divina Bookmarks and a seven part Way of Light Bible Study for teens or adults. 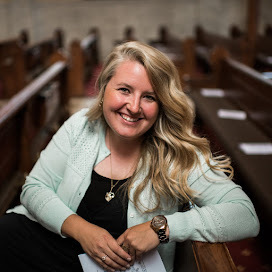 I found your site a few weeks ago and I am thanking God I did. I absolutely love your ideas. Thank you for sharing so much and giving us access to all your beautiful art and printables. 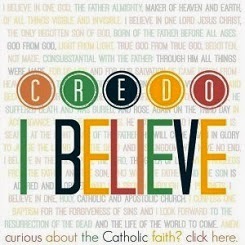 I am using many ideas with my 6th gr ccd class. Thank you for helping me to be a better teacher. So glad they are helpful! 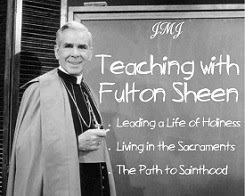 Be assured of my prayers for you and your students! Thank you for sharing your printables. I love them. 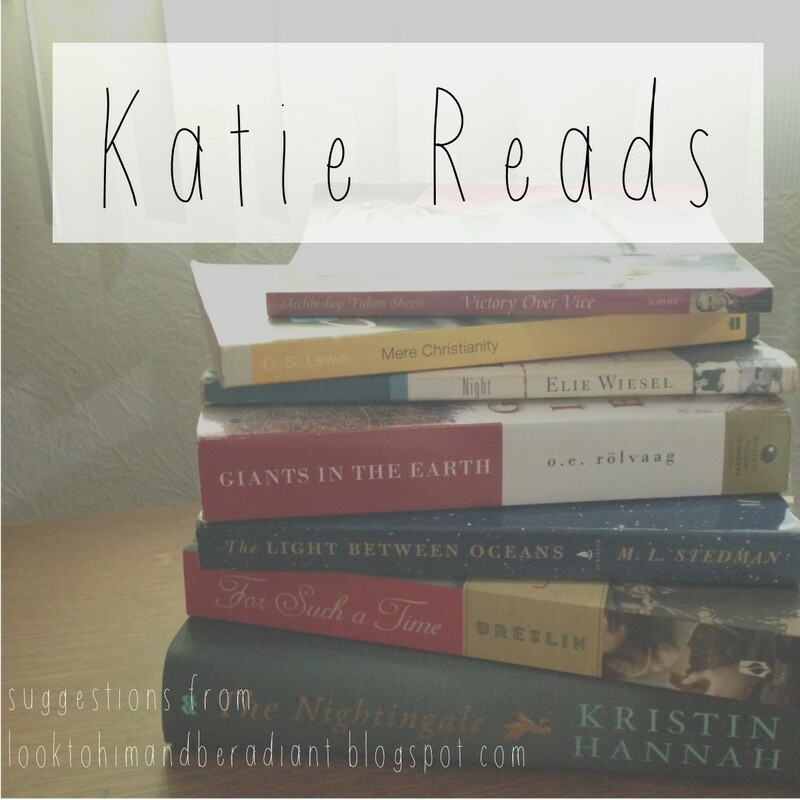 Katie, thank you so much for sharing your wonderful activities. They are very simple, and I love your explanations. 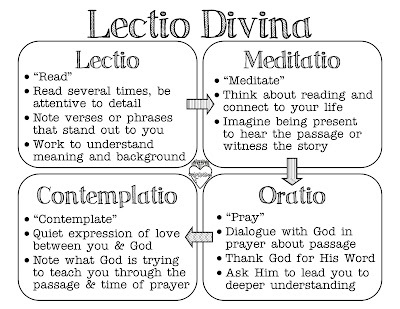 I'm a fan of lectio divina and so happy that you have created this..